Many users complained that WhatsApp closes automatically in Android or iPhone, Android phone or on other mobile phones. Scenarios like WhatsApp crashes on iPhone/iPad after iOS 12.2/12.1//12 update, WhatsApp crashing when loading earlier messages, while opening chat, when opening contact, when using ART (Android Run Time) etc. could happen when you want to install and use WhatsApp Messenger on your smartphone. So how do I repair my WhatsApp if it crashes? In this article, we will offer you some solutions on how to fix WhatsApp crash issue, including WhatsApp 2.16.5 crashes and the new WhatsApp 2.17.20 crashes. Below are the solutions that most WhatsApp users have tried when the WhatsApp crashes on their cell phones. You can pick out any of them to solve your WhatsApp crash issue according to the platforms including to fix WhatsApp forced close on iOS devices (iPhone Xs/xs max/x/8/8 Plus/7/7Plus/SE/6s/6s Plus/6/6 Plus, iPhone 5s), to fix WhatsApp crashing for Android phone (Samsung, HuaWei,HTC, LG, Motorola, Google, Sony, Asus, etc.) and Windows Phone, etc. WhatsApp gets closed automatically is never a big deal. The easiest way to recover WhatsApp when crashed on your smartphone, whether it is an iPhone, an Android phone, a Windows Phone, Symbian/BlackBerry or any other supported phones, is to delete/remove the WhatsApp program and do a fresh install (known as reinstallation). You can restore WhatsApp from backup after reinstallation. 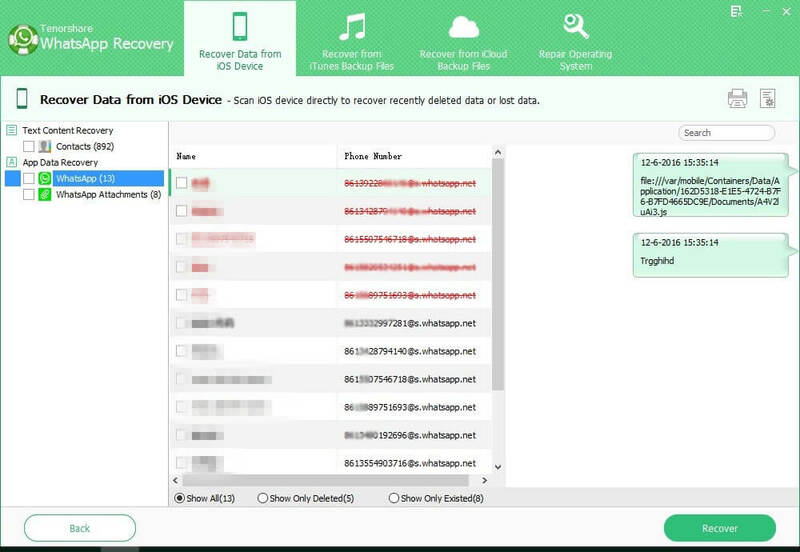 If you do not have backup beforehand, you can also recover WhatsApp messages without backup by using WhatsApp recovery software. If your iPhone WhatsApp crashes all of a sudden, that is most likely because you have recently installed the latest Facebook app and enabled contact sync between the Facebook app and you phone Address Book. To solve the crash problem, you need to disable Facebook sync and Facebook photo sync. Open the Facebook app, go to "Settings" > Enter your Facebook email and passwor > Turn off contact sync to adjust the settings of Facebook. If WhatsApp still crashes when you are trying to have a chat with a specific contact, delete a picture for that contact from the iPhone Address Book (or remove pictures for all contacts in your Address Book with the ones you have WhatsApp chats). WhatsApp crashes on startup due to a bug in Android, which cause WhatsApp could not be installed in Android Run Time (ART) on Android 4.4. You can fix this issue by updating to the latest Android OS, say the Android 9.0, 8.0, 7.1, 7.0, 6.0, 5.0, 4.4.1, 4.4.2 and more. To update iPhone, go to Settings -> General -> Software Update to download and install the latest software version. 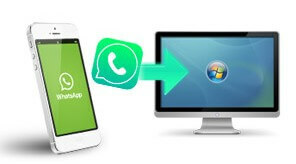 You can try to restart the WhatsApp app for several or even dozens of times when it crashes either in your iPhone, Android smartphone, Blackberry, Nokia, Windows Phone etc. Double press the home button and then swipe up WhatsApp application from the task bar. Open the WhatsApp app and wait for it to load. Close it again. Repeat the above 2 operations for many times until you relaunch WhatsApp works normally. Open "Settings" app on your iPhone, tap "General". Then choose "Reset" and click "Reset All Settings". Confirm the action to finish this procedure. Your device will reboot itself and then you can open the WhatsApp to check if it still crashes. For iPhone users who are still having this problem, there are likely something wrong with the iPhone system. Normally a force restart can help to fix minor glitches, but not all. That's why you should try Any iOS System Repair - an easy and effective iPhone system repair tool to fix many crashing issues and stuck problems without losing current data. You can download this software for free on your Windows or Mac and then follow the steps below to repair operating system. 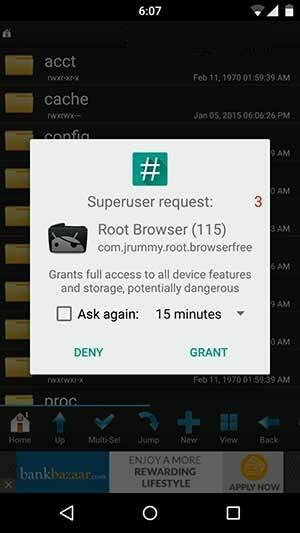 Run Any iOS System Repair on your computer and connect iPhone. Click "Repair Operating System" once the device is detected. Follow the onscreen instruction to proceed. When enter the firmware download page, click "Download". Once the firmware is downloaded successfully on your computer, click "Start Repair" to repair iOS. By far, we've shown you different ways to fix WhatsApp crash on iPhone and Android phones with detailed steps. I hope you can solve your problem successfully with the above methods. Any iOS System Repair is the best way to fix WhatsApp issues on iOS device, and this software can fix many other iPhone system problems like iPhone stuck on recovery mode, iPhone won't turn on, iPhone frozen on apple logo screen, and so forth.